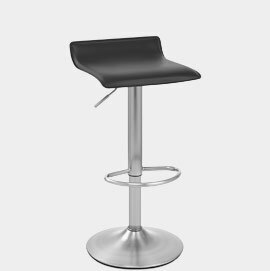 We are extremely excited to announce the arrival of a brand new, budget range of brushed steel stools, which offer all of the stylish benefits at an excellent price. 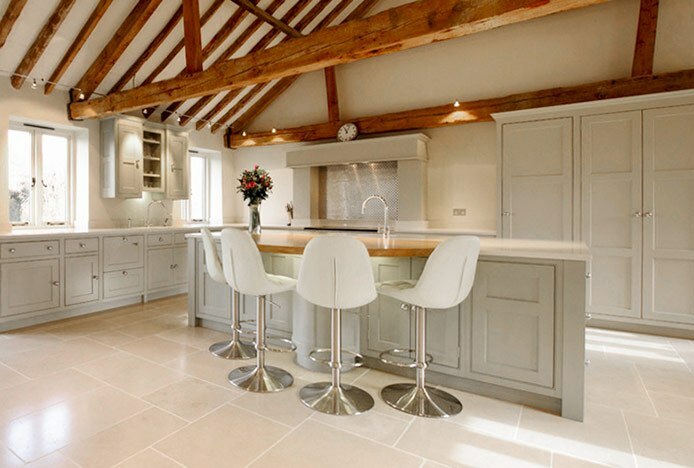 In recent years it has become an increasingly popular choice of metalwork finish, not only for bar stools but for kitchen furniture and appliances more generally. As they are hand finished, brushed steel stools are often seen to exude a luxurious edge and are customarily sold at a premium price. This innovative collection includes brushed steel upgrades of some of our most popular designs, which have each been sold with chrome metalwork for a number of years. The Mars (pictured below) features a comfortable faux leather seat with a convenient low backrest for easy storage. Similarly, the Linear (pictured below) is a key part of the range and boasts an eye-catching faux leather seat that provides effective support due to its high backrest. Available in a versatile choice of minimalist seat colours, both of these bestsellers profit from the classic beauty of their brushed steel stems, and can be purchased at a distinctly competitive price. 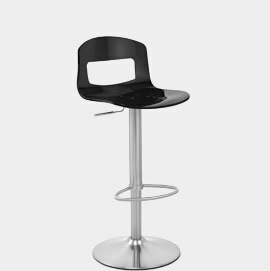 An additional popular design now available in this finish is the Stardust Brushed Steel Stool (pictured above). Utterly unique, the Stardust showcases the combination of acrylic and brushed steel which has never before been obtainable. The contrasting nature of these materials results in the successful marriage of the high gloss, futuristic seat and the muted simplicity of the frame, creating a fashionable look. Offered in a variety of colours including transparent clear and smoked shades, it is guaranteed to impress. New to the marketplace, this inventive range of budget brushed steel designs has superb potential, and merges quality materials and components to produce amazing designs that are simply incredible value for money. 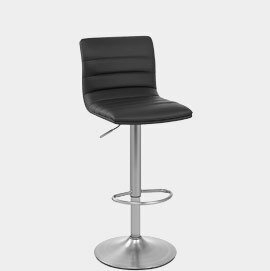 Our new stools feature coloured chrome metalwork that matches the seat colour.. Fixed height brushed steel stools have a signature style, perfect for any space..
We’re excited to announce three new four-legged stools with a contemporary twist..